In the past forty years no one in North America has contributed as much to the study of Old Testament theology as has Walter Brueggemann. His monumental work Theology of the Old Testament: Testimony, Dispute, Advocacy (1997) is one of the most ground-breaking studies on the OT since the work of Gerhard von Rad. The Book That Breathes New Life is a collection of thirteen essays in which Brueggemann shares recent articles on the authority and theology of the OT. As Brueggemann’s theological moorings are in the United Church of Christ, readers of this journal will not benefit greatly from his three essays on biblical authority. This is because, like Karl Barth, Brueggemann moves beyond questions of history and the historical-critical program and by his own admission, takes the Bible “seriously but not literally.” In this way he eschews scholastic proofs and scientific categories to locate biblical authority in a literary approach that draws attention to the artistic power of texts. “Authority is located in the speech of the text itself and not in something behind the speech of the text” (8). Brueggemann begins the second part of his book by reaching back to the rebirth of OT theology in the twentieth century. To do so he interacts with Walther Eichrodt and von Rad, championing the latter as the twentieth century’s defining and preeminent interpreter of the OT. Whereas Eichrodt’s approach was titled in a dogmatic direction, von Rad was much more concerned with the historical dynamism of texts. In this way von Rad appreciated, much more than Eichrodt, the rich pluralism of texts. In these essays Brueggemann applauds von Rad again and again, especially in the latter’s move against older critical ideas – especially those of Julius Wellhausen – that assumed prophets were innovators. Instead, von Rad viewed the prophets as creative communicators who reshaped older texts for new situations. Israel’s prophets reused older Pentateuchal texts in both continuous and discontinuous ways to confront the sins of the people. Although Brueggemann patterns much of his own work after von Rad, he does lament that he relegated OT texts on creation to a marginal status. In 1936 von Rad published the important essay “The Theological Problem of the OT Doctrine of Creation.” His thesis was that the OT focus is on what Yahweh does in history, as distinct from what he may do in nature. As such, von Rad excluded nature as a central arena of Yahweh’s concern and care. This essay became the foundation for the slogan, “God’s Mighty Deeds in History” which was taken up in the United States chiefly by George Ernest Wright. For Wright the natural world also played a decidedly peripheral role in biblical thought; he called it “a handmaiden, a servant of history.” Brueggemann, on the other hand, is one of a growing number of scholars who are exploring ways that allow creational texts to have a greater voice in the articulation of Israel’s theology. Brueggemann also interacts with Brevard Childs in substantial ways who intends to nullify the entire historical-critical project as a failed attempt. Childs insists, rather, that the Church should read the Bible as it did before the Cartesian program of autonomy. Swimming upstream he proposes a return to a time before modernity as well as an abandonment of post-modernity and its fragmentary interpretive results. Childs appeals to Reformation hermeneutics and to the patristic claims of “the rule of faith.” But Brueggemann believes Childs arrives at the “stability of the text” too quickly and as such, much of the power and energy of texts are flattened and lost. Brueggemann pushes this idea to the limit in his belief that texts deliver no settled package of truths, but only traces and fragments of elusive ideas that have no coherence. He does not believe in any single reading but a multiplicity of readings that withstand every absolutizing. This is exactly what Childs is against. In his essay “Biblical Theology Appropriately Postmodern” Brueggemann offers a summary of his own approach. He moves beyond what he believes is the historical impasse in OT studies and offers a way to move forward through a sustained study of rhetoric. 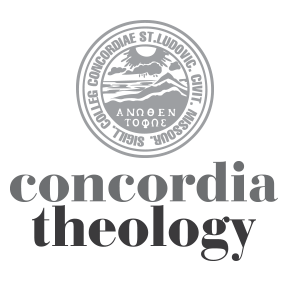 Brueggemann’s dialectical categories of core testimony and counter-testimony have three parts – covenant and exile, hymn and lament, and presence and theodicy. As soon as one voice in Israel says it is so (e.g., hymn), another voice dialectically says it is not so (e.g., lament). The great temptation is to offer closure upon any of these categories. Brueggemann writes: “It is clear to me that the deconstructive dialectic of the Hebrew scriptures is indeed characteristically and intransigently Jewish in its openness to ambiguity and contradiction” (137). On the other hand, “the Christian tradition of interpretation has a deep propensity to give closure” (136). He appeals to the work of Jürgen Motlmann who suggests that Friday and Sunday are both in force so that the claims of Easter do not silence the counterclaim of Friday. Easter Monday is very different from Holy Saturday, but Saturday issues are real, even on Monday. In this way Brueggemann offers a theology of the cross of the OT that is intellectually insightful and theologically stimulating. One can find no better orientation to what has gone on in OT theology for the last several decades than to read through these essays.